Find Door Hardware, Glassware & Houseware, Household & Small Home Appliances on Industry Directory, Reliable Manufacturer/Supplier/Factory from China. This Blender Machine barrel body and have multi-direction movements of operating in running, make various kinds of supplies flow and spread function with higher speed in the course of mixing, prevented the general mixer from simply analysing and gathering the phenomenon because of the supplies proportion produced of centrifugal function at the same time , not having the dead angle to mix, the ones that can guarantee to mix the supplies effectively are best in quality. Structure: Machine this by machine flat, transmission, electric apparatus control system, more to sport organization, mix such parts as the barrel ,etc. make up, mix barrel adopt stainless steel material make , barrel body internal and external wall pass the polishing with whom supplies contact directly. Totally accord with GMP demand . This machine mix the barrel body and have multi-direction movements of operating in running, make various kinds of supplies accelerate mix the barrel body and having multi-direction sportsing in the course of mixing, make a barrel of supplies in the body mix and click more alternately, it is high to mix the result, the degree of consistency can be up to 99. 9% more than most heavy to load coefficient can up to 0 . 9 (ordinary mixer is 0. 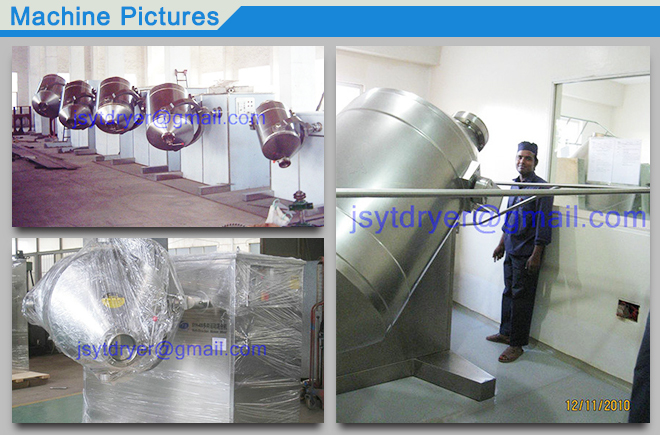 85),Mix time short , with high efficiency. It is unique in design that this machine mixes the size of the barrel, the barrel body inboard wall, through the meticulous polishing, without dead angle, does not pollute the supplies , it is convenient to produce material, wash the easy advantage of operating simply etc..
Jiangsu Yutong Drying Engineering Company is a High-New Technology Enterprise in China. 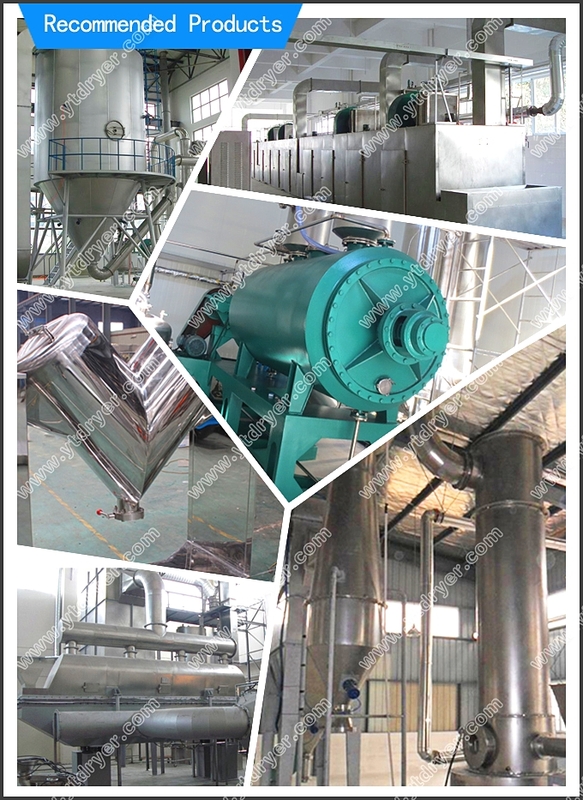 With over 18 years of experience, we are able to provide a wide variety of products, including drying machine, grinding machine, granulator, mixing machine, and more. Features like compact structure, high efficiency, and low energy consumption have resulted in our products being increasingly used in the pharmaceutical, chemical, food, light industry, dyes, mineral products, electronics, ceramics, plastics, agricultural products, pesticides, feed, fertilizers, and other industries. Copyright © 2019 www.nsdhardware.com All rights reserved.